The Obama administration says vaccinations against swine flu are likely and probably will begin in mid-October, assuming soon-to-start studies go well. Health and Human Services Secretary Kathleen Sebelius says no final decision has been made. But she says first in line for shots likely will be school-age children, young adults with conditions such as asthma, pregnant women and health workers. Studies of the brand-new vaccine are set to start in early August, and the government will make its final decision once results are available. But Sebelius told officials from all 50 states Thursday to figure out now how they would deliver the shots to people who need them. The announcement was made at the start of the Obama administration's swine flu summit today, which was designed to put states on notice that the disease promises to create a mess this fall. Are you ready? Swine flu may have faded from the headlines but it's still sickening people here and abroad and is certain to worsen when influenza-friendly fall temperatures arrive. The federal government called together health and education officials from every state to check their preparations for the likely prospect of vaccinations and determine how they'll handle flu-riddled schools. "I want to be clear: This summit is not about raising alarms or stoking fears. It is about being prepared," Health and Human Services Secretary Kathleen Sebelius said. "We must avoid complacency." The government estimates that 1 million Americans so far have been infected with the never-before-seen virus known formally by its scientific family name, H1N1. 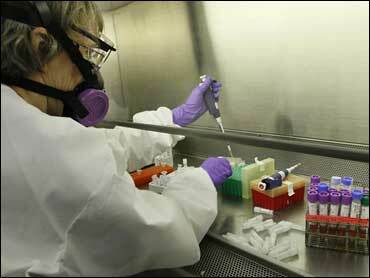 No longer do many public health experts warn of the new virus' "return" in the fall. Summer's heat and humidity usually chase away influenza, but the swine flu has never left. Children are spreading it in summer camps, and U.S. deaths have reached 170. It has spread worldwide, and is causing larger problems in parts of the Southern Hemisphere, where it's currently flu season. In the U.S., even if the virus doesn't mutate to become more dangerous, greater spread is considered inevitable as students return to crowded classrooms and temperatures drop - and regular winter flu makes its own return. "This fall, it's daunting, all that will be required," said Paul Jarris, executive director of the Association of State and Territorial Health Officials. At the top of his worry list is finding enough workers for two vaccination campaigns. The 100 million-plus doses of regular winter flu vaccine are set for the usual October inoculation start. But those shots won't protect against swine flu. Within a few weeks, manufacturers will deliver test doses of a swine flu vaccine for a study to see if they're safe and seem to work. If so, the Obama administration will quickly decide whether to press forward with a second swine-flu vaccine campaign - and determine who would be first in line. Looking back at school closings that disrupted the spring, communities also are struggling to determine when such a drastic step - one that has the chain reaction of parents missing work - is necessary. A key theme to Thursday's summit: Consider now how your family would handle a disruption even bigger than what happened last spring when the outbreak began. To spur those discussions, HHS will host a contest - at www.flu.gov - for the best anti-flu video to turn into a national public service announcement. CBS News medical correspondent Dr. Jennifer Ashton sounded a somewhat optimistic note on "The Early Show". Though the flu isn't going away, she said, people will likely get the vaccine in the fall, and there should be ample doses to go around. "We don't want people to panic," Ashton said. "We just want to be prepared."